With regards to wall coverings, the EU has set out some standard specifications. Unless otherwise required, all paint should have a matte finish. Before any paint work is executed, safety data sheets and material safety data sheets should be supplied. In applying finishes, recyclable products should be used whenever possible. 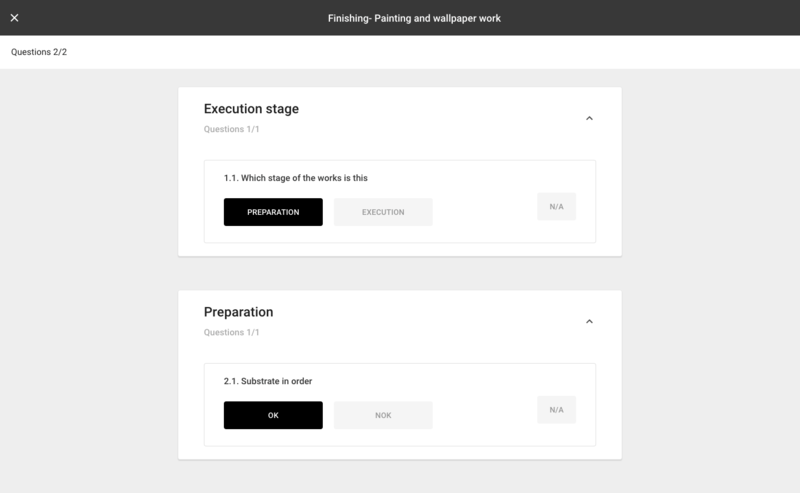 You can use this Form template to monitor the finishing phase of your painting and wallpaper work. Customise this template to achieve precise finishing in accordance to standard specifications and in compliance with your QHSE system.